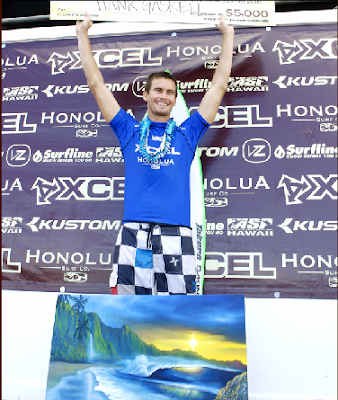 I want to send a huge congratulations to my buddy Hank Gaskell for achieving his biggest accomplishment as a professional surfer by winning the Xcel Pro yesterday. The waves were in the 6-12 foot range over the 3 day competition. The conditions were prime for a surfing contest and all of the 80 competitors took full advantage of it.